Providing innovative, high quality tools for photography enthusiasts. Universal Photo Timer is a hand-held, battery operated photographic flash and camera timer. You can trigger the timer count-down through variety of sensors including sound, motion and a number of light operated sensors. Universal Photo Timer can be used in the studio as well as in the field. It is small and light enough to carry with you everywhere. It makes a great addition to your camera bag. The unit captures split second events such as falling water drops, popping balloons or ballistics shots in response to triggering events. The timer is not only limited to operate flash or camera. We offer a timer that can be used to control solenoids and valves. 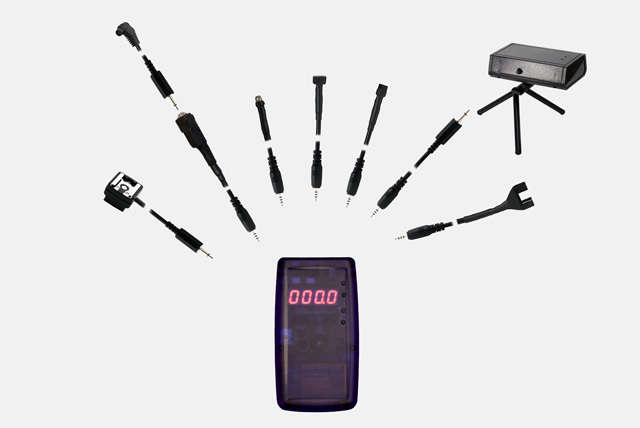 The timer is also compatible with Pocket Wizard devices (such as Plus II) giving you wireless connectivity options. The timer works with many standard Pocket Wizard camera and flash cables. We offer a wide selection of optical, sound and proximity sensors. Visit our online store for more information. 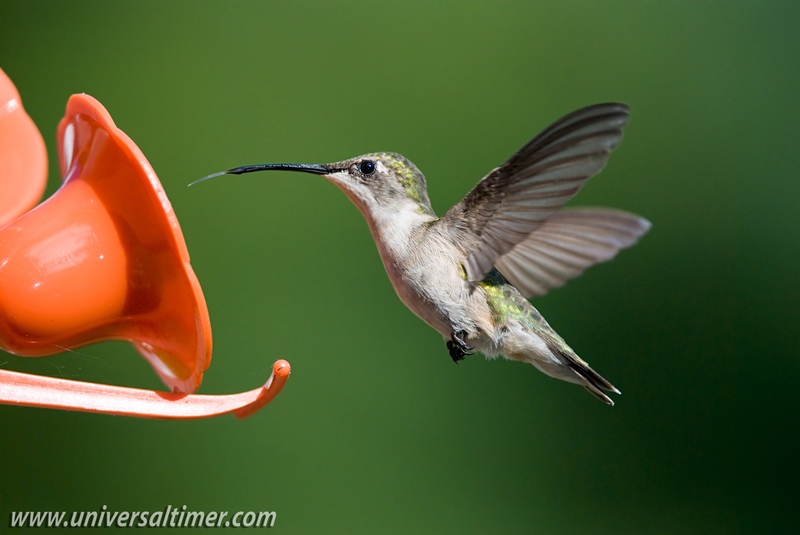 Sample usage of the timer. 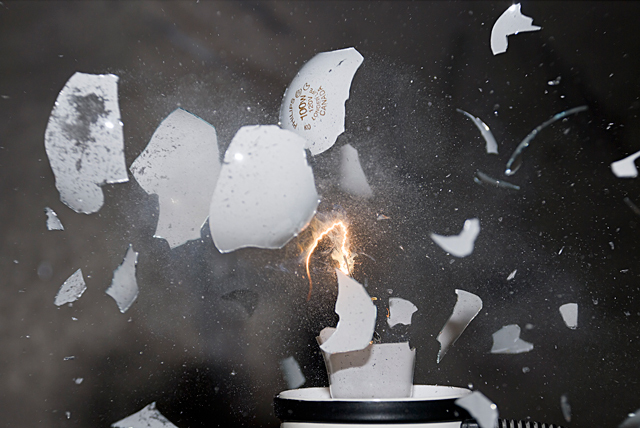 Getting started with high speed photography and selecting components. Infrared Beam Sensor offers motion triggering using an narrow infra-red beam of light. The sensor can detect and trigger on small and large objects in front of the sensor up to 5 meters (16ft) away. The triggering distance can be adjusted down to 1m (3ft). The sensor can operate as a stand-alone device or together with the Universal Photo Timer. When used stand alone, you can connect the sensor to your camera through a shutter cable or using your Pocket Wizard transceiver (such as Plus II) for wireless operation. Learn more about our photographic sensors. Copyright 2007-2012 © Universal Timer Ltd. All Rights Reserved.